While not as common as it used to be, some creditors and debt collection agencies still result to bully tactics in an attempt to collect a debt that is owed to them. These are empty threats that include: publishing or advertising your debts, drain your bankruptcy account, or even having your arrested. 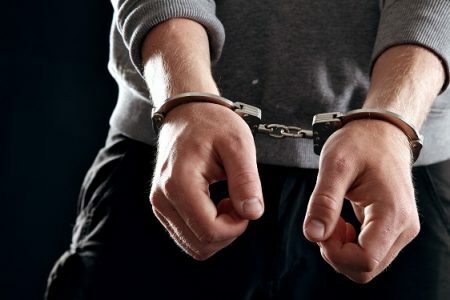 While these menacing threats of jail time can be unsettling, knowing your rights and common debt collection regulations, will put you in a position of power the next time a creditor or collection agency attempts this illegal maneuver. Some collectors will akin not paying your bills to stealing, however, under the law, you can’t be sent to jail for failing to pay a debt. When creditors threaten you with sending the Sheriff to take you to jail, not only are they bluffing, but they are also violating the Fair Debt Collection Practices Act, and could be paying you instead. There is a very specific procedure in every state and county in America for collecting on a debt. A creditor must file a lawsuit against you in order to obtain a judgment against you. When this occurs a Sheriff MAY show up at your home to deliver a summons to court, however, the majority of the time it’s a summons delivery person working for a private attorney office. Even if the Judge rules against you the worst thing that can happen is wage garnishment, seizure of your bank account, or a property lien, meaning you are safe from having to go to jail for falling behind on your payments. Calls, letters, and emails from debt collectors can add additional stress to financial problems. The FTC strongly enforces consumer rights and the FDCPA, which prevents deceptive, abusive, or unfair debt collection activities. If you feel that you are being harassed by a creditor, you can report them to the FTC or your bankruptcy attorney. One of the only true ways to eliminate debt is through filing bankruptcy. In bankruptcy, your unsecured debt is wiped out or discharged, in a Chapter 7 bankruptcy, while a Chapter 13 bankruptcy allows you to spread out what you owe over 3-5 years and pay back what you can afford based on your income. If you are struggling with debt, being sued over a debt you owe, or at risk of having your property repossessed, contact your Houston bankruptcy attorney to discuss your debt, and how you can use the US Bankruptcy Code to your advantage.